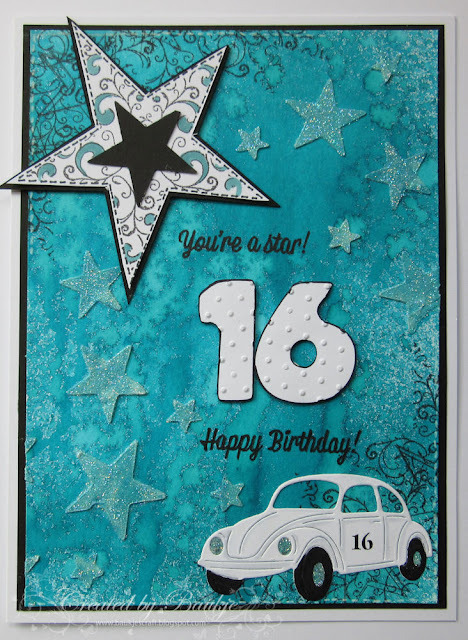 I have a few cards to share that I made for family birthdays and ones on which I created my own backgrounds using distress inks. This first one I created for our granddaughter Aimee s 16th Birthday. 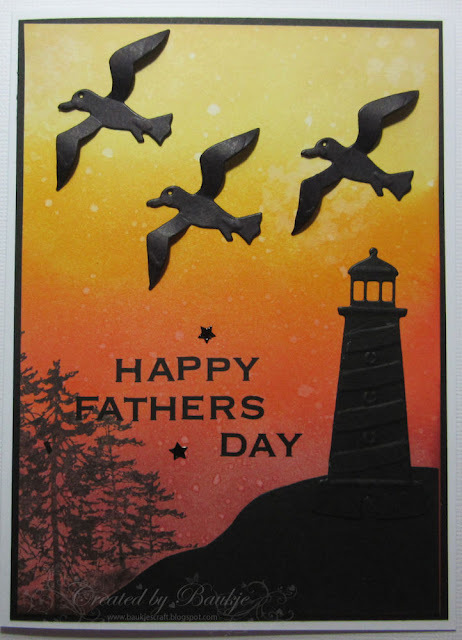 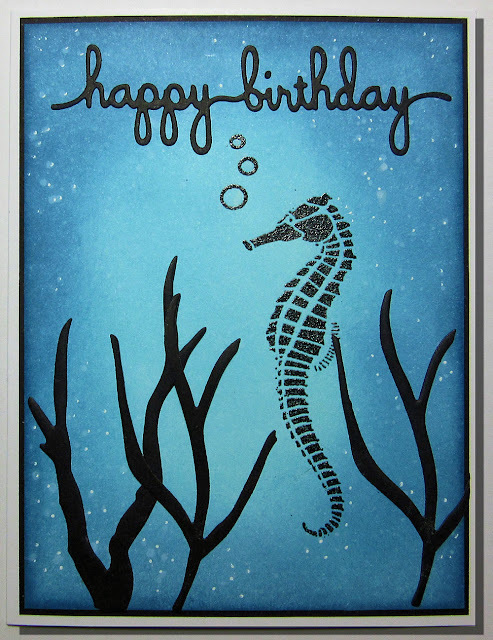 The sea horse went to a son in law and the lighthouse to father in law.